Want to make sure your new car is road-ready and not a lemon? Bring it down to Steve’s Imports where nothing gets by our expert car technicians. With over 40 years of experience and a team of mechanics fully ASE-Certified, we know what a healthy car looks like, sounds like, and even smells like! 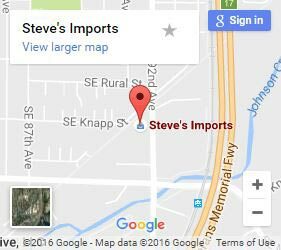 Steve’s Imports is an auto repair shop providing all-around mechanical repair, good-as-new body restoration and complete vehicle inspections to Clackamas resident. If you’re scouting out a new car but want an expert opinion on it, our crew is standing by to provide high-level diagnostics to any import that comes our way. A long road trip can put undue stress on your vehicle. If you’re looking at any kind of out-of-the-norm excursion, let us look at your car first! 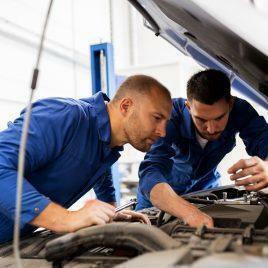 Whether it’s a new vehicle for the next chapter of life’s journey, a cross-country road trip, or a backcountry 4×4 along the country’s other highways, a vehicle inspection is never a bad idea. Other than our pre-service diagnostics, some of the most common inspections we provide are for people looking to purchase a new vehicle. Because even if you’re pretty good under the hood yourself and are dealing with a trustworthy seller, a second opinion never hurts. Our goal with our pre-purchase inspections is for you to receive a completely impartial inspection by our experts so you can make a fully informed decision. 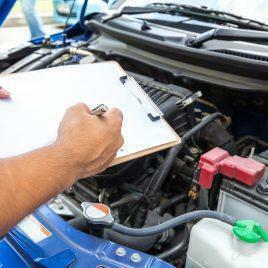 Our pre-purchase inspections will yield any and all problems associated with your new vehicle. We’ll every provide photographic support to bolster your bargaining power. If you’re getting ready to set off on multi-state journey across the country, you’ll want to get your vehicle looked at. Even in the best case, there are a lot of unknowns when it comes to interstate traveling. We don’t want your care to be one of them. If you have a 4×4 truck or SUV, you probably want to take it out back. But before you do, it might be worth getting it looked at while you’re still in city limits. We can even show you how to handle and prepare for a mishap while your in the field. Let our expertise, be your expertise! Decades of car experience on demand. No matter if you just have a question about your particular vehicle or you want to schedule a full vehicle evaluation, we are ready to help. We’ll take a look at your current or future vehicle and give you our real, professional opinion on what we see. The inspection reports from our auto repair shop explain everything in detail and provide a line-by-line rundown on everything we find – including what’s happening with your check engine light. If you’re the proud owner of a foreign ride, now you’ve got to make sure your vehicle is taken care of. Even if it means a last-minute check. Our crew will always do everything to accommodate your schedule. So if you think your options are running low as you get down to the wire, give a call to Steve’s Imports to see how we can help.